Sally A. Gymburch, age 88, of Rome, passed away peacefully on September 18, 2018, at the St. Luke’s Home surrounded by her family. Sally was born in Rome on June 15, 1930 to the late M. Leo and Mary Clements Lappin, and was educated in the Camden School district. On September 1, 1951, she was united in marriage to Paul Gymburch at St. Patrick’s Church in Taberg; a blessed union of over 58 years until his passing on March 27, 2010. Sally enjoyed watching sports of all kinds on T.V., especially NASCAR & baseball. Family members will miss her delicious pierogis and amazing “worm” cookies. Sally is survived by a daughter and son-in-law, Elaine and David Jeroszko of Brockport, NY; two sons and daughters-in-laws, Gerald and Jeanne Gymburch of Deerfield NY and Richard and Susan Gymburch of Cary, NC; five grandchildren; one great grandson; and several nieces and nephews. She was predeceased by a brother and sister-in-law, Francis and Bobbie Lappin; and brothers in law and sisters in law, Michael Gymburch, Mary and Francis Herter, John and Olga Gymburch, Pauline and Charles Bodnar, and Alex and Mary Gymburch. A Mass of Christian Burial will be held on Saturday at 10:30 AM at St. Joseph’s Church with the Rev. Robert L. Kelly officiating. Burial will be in Evergreen Cemetery. Relatives and friends may call at the Barry Funeral Home, 807 W. Chestnut Street, on Friday from 4 to 7 PM. 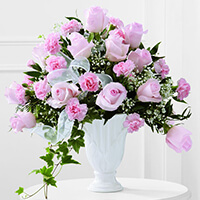 In lieu of flowers, contributions in Sally's memory may be made to St. Joseph's Memorial Fund. 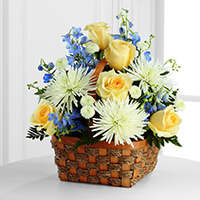 To send flowers to the family of Sally A. Gymburch (Lappin), please visit our Heartfelt Sympathies Store. We were so sorry to hear about Sally. She was such a wonderful person and we were glad to have known her. Our thoughts and prayers are with the families at this very difficult time. Susan and Rich, Were so sorry your loss. Our thoughts are with you and your family.